Kill moss, not your lawn, with Scotts® MossEX™. Apply easily with the convenient shaker jug, perfect for spot treatments or smaller areas of the yard. 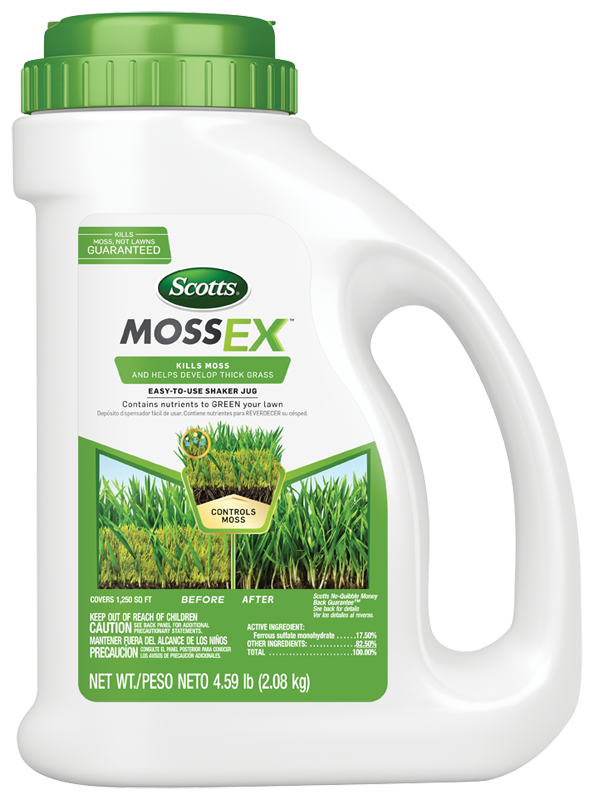 Scotts® MossEX™ also contains added nutrients to help your lawn grow greener and thicker as moss dies away. For best results, apply to a moist lawn after tall grass is mowed to expose low-growing moss. With Scotts® MossEX™, this is the year you can enjoy a moss-free lawn.